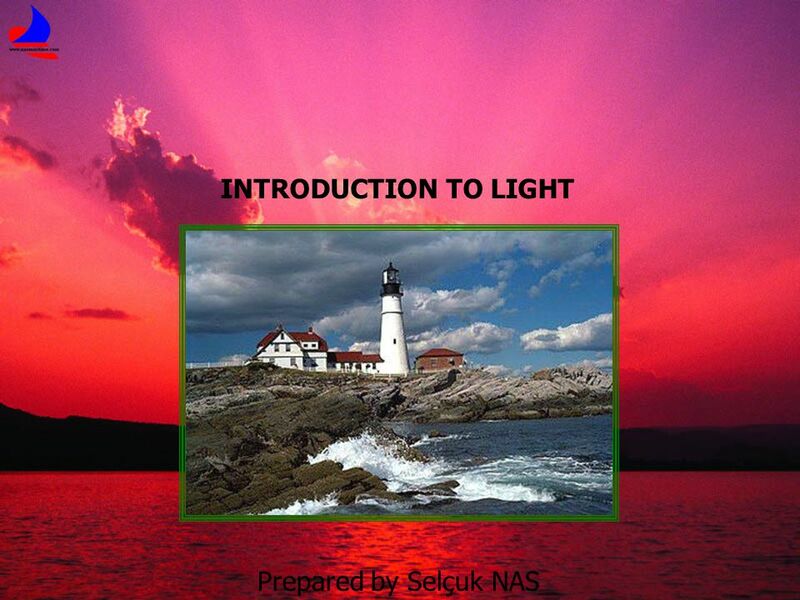 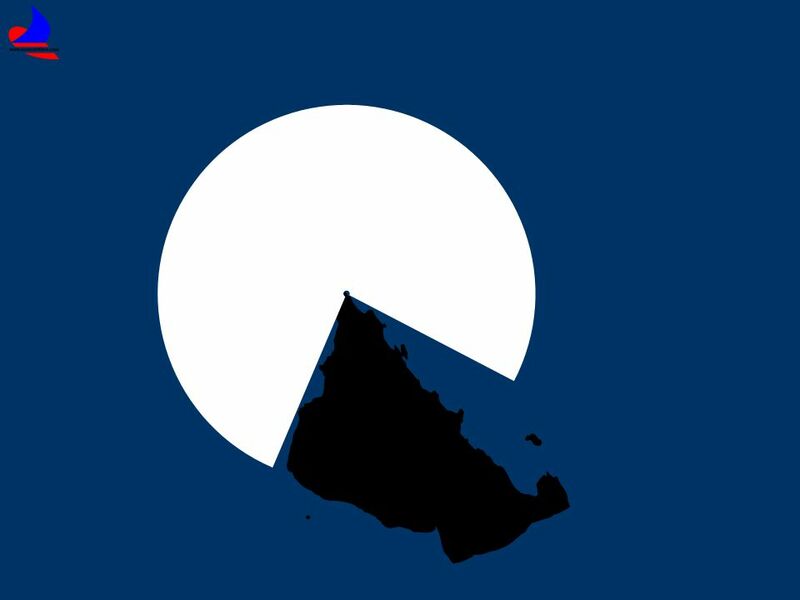 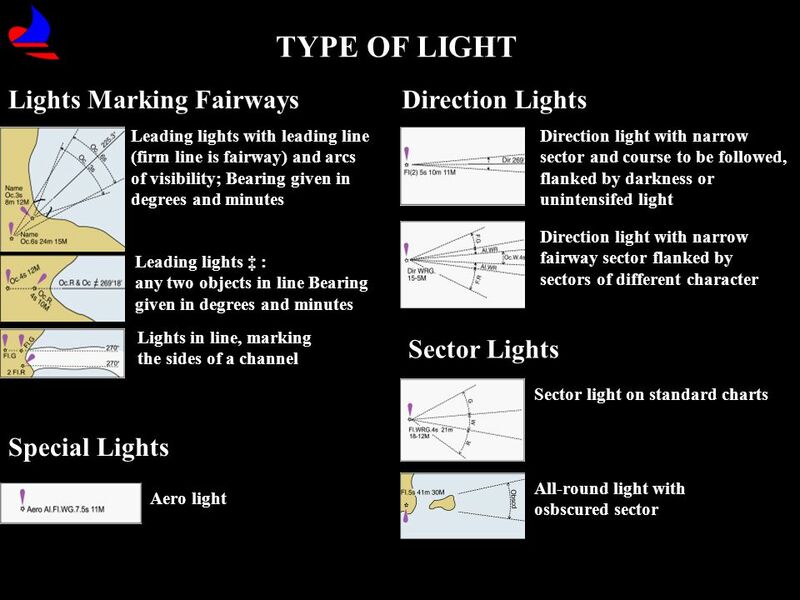 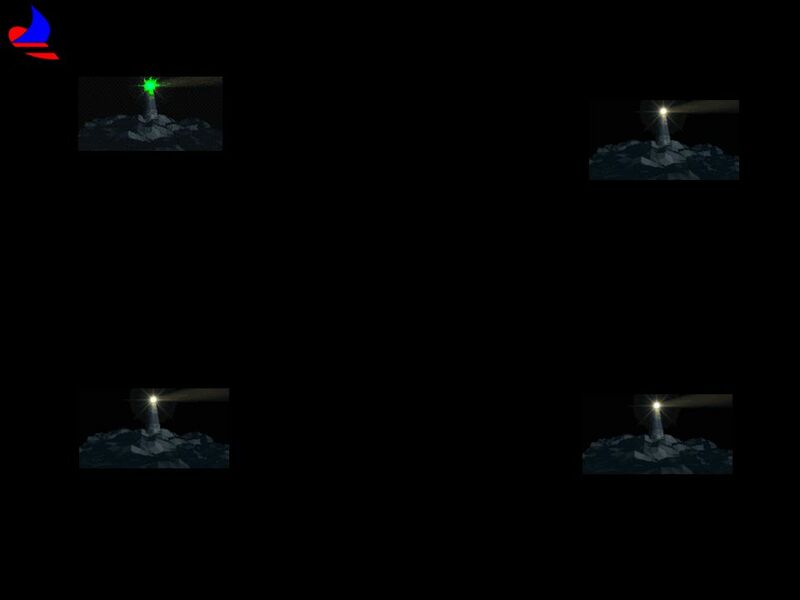 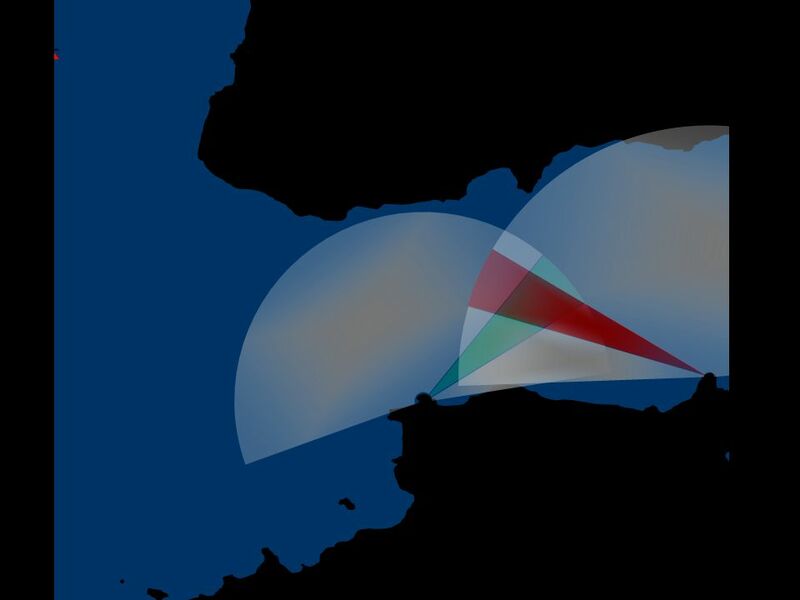 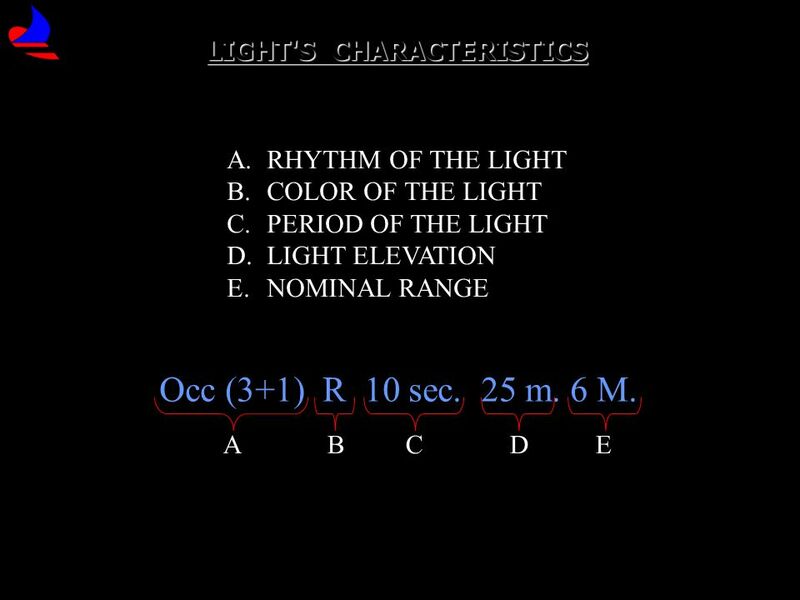 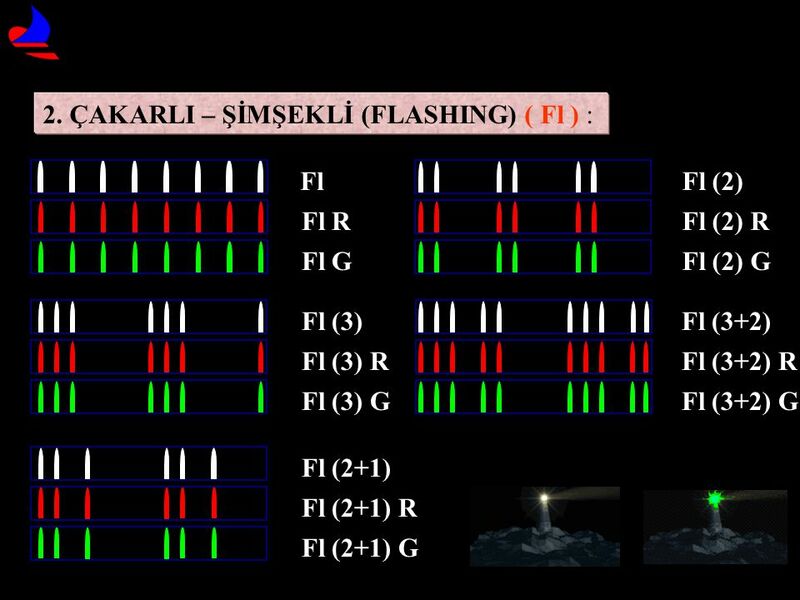 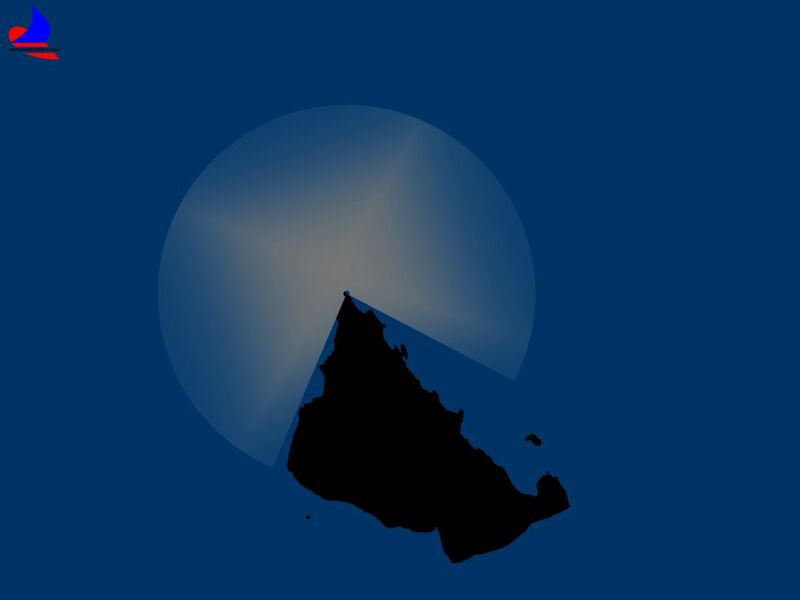 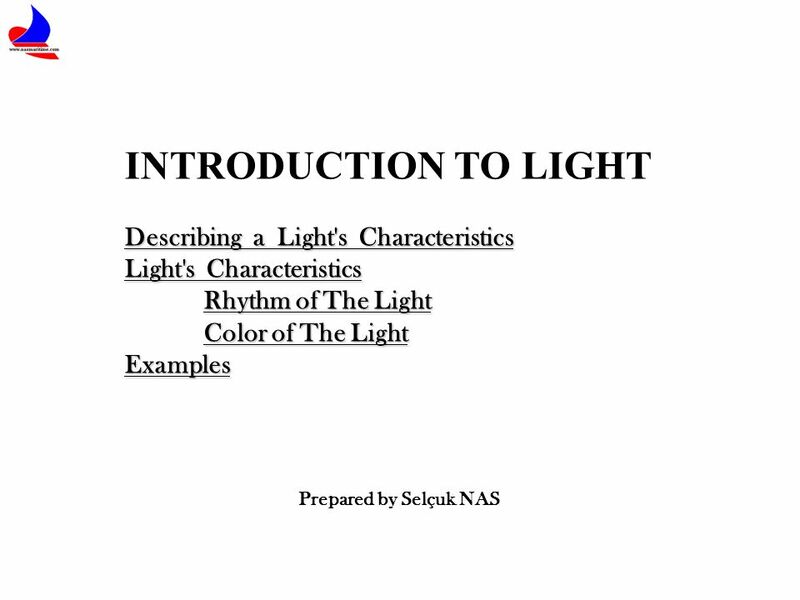 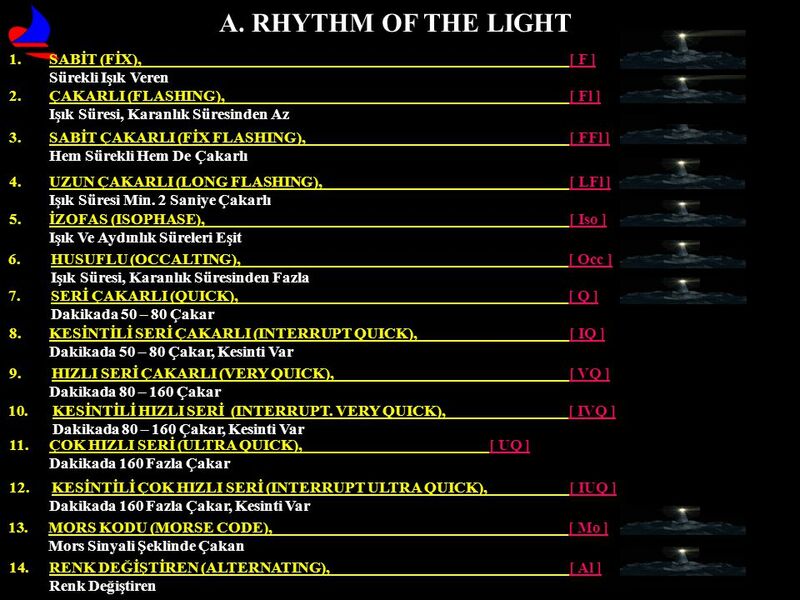 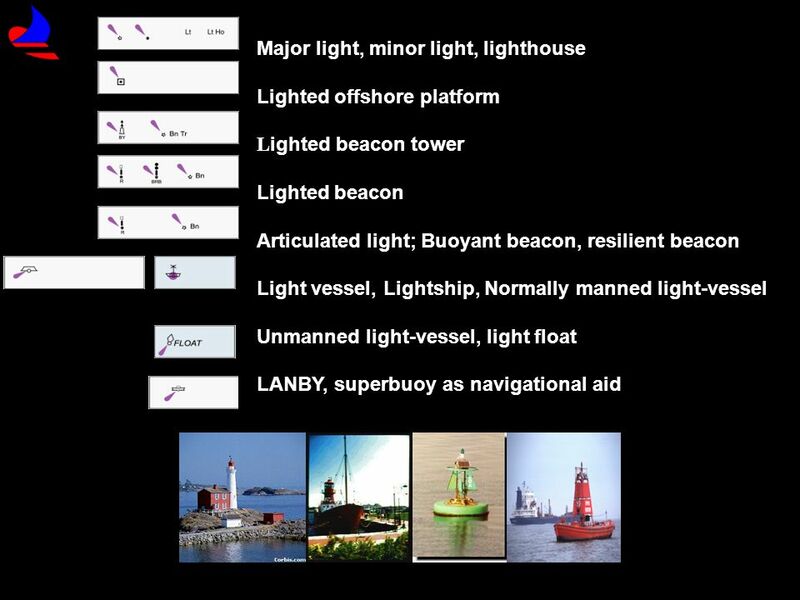 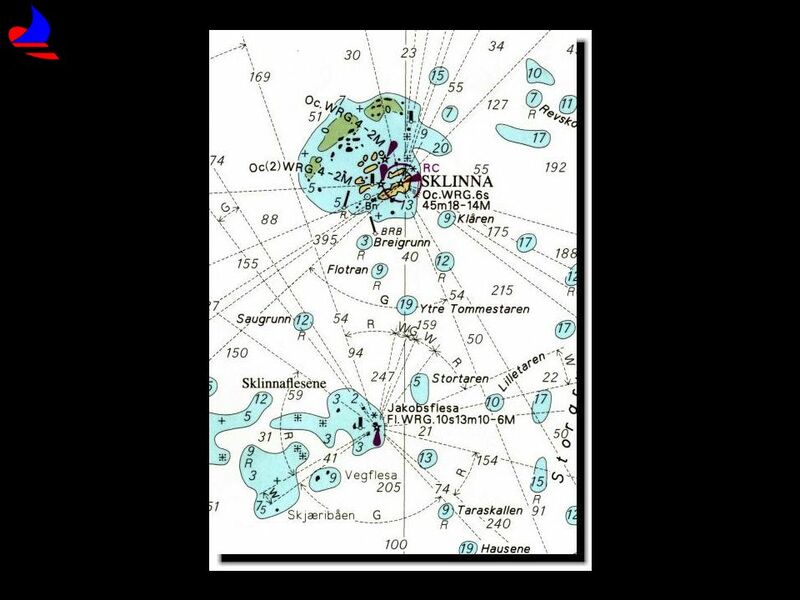 THREE FACTORS ARE USED TO DESCRIBE A LIGHT'S CHARACTERISTICS: 1) LIGHT RHYTHM LIGHTED AIDS TO NAVIGATION ARE EITHER "FIXED" (CONTINUOUSLY ON) OR GENERALLY EXHIBIT RHYTHMS SUCH AS: "FLASHING", "OCCULTING", "ISOPHASE", ETC. 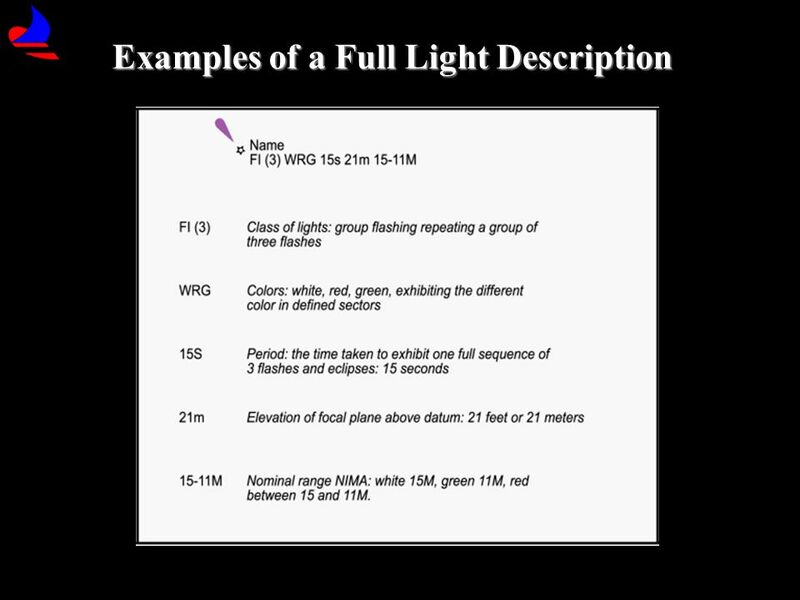 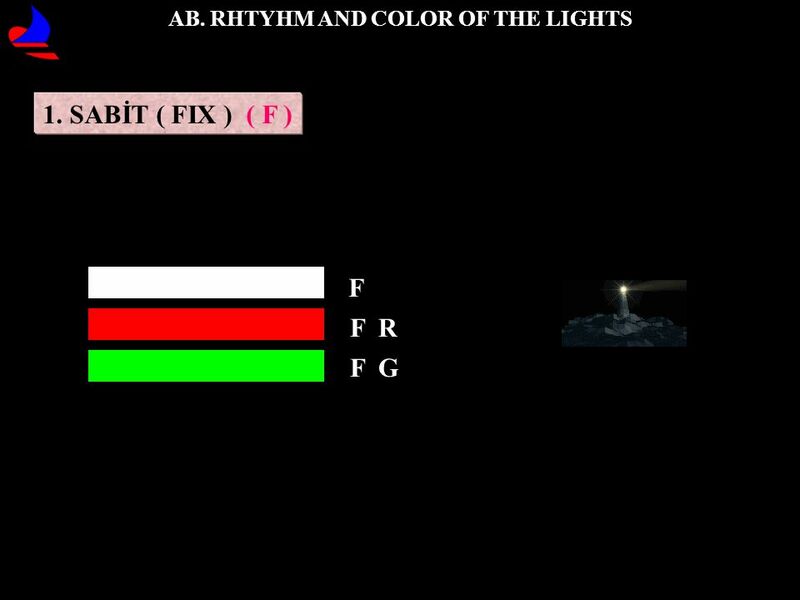 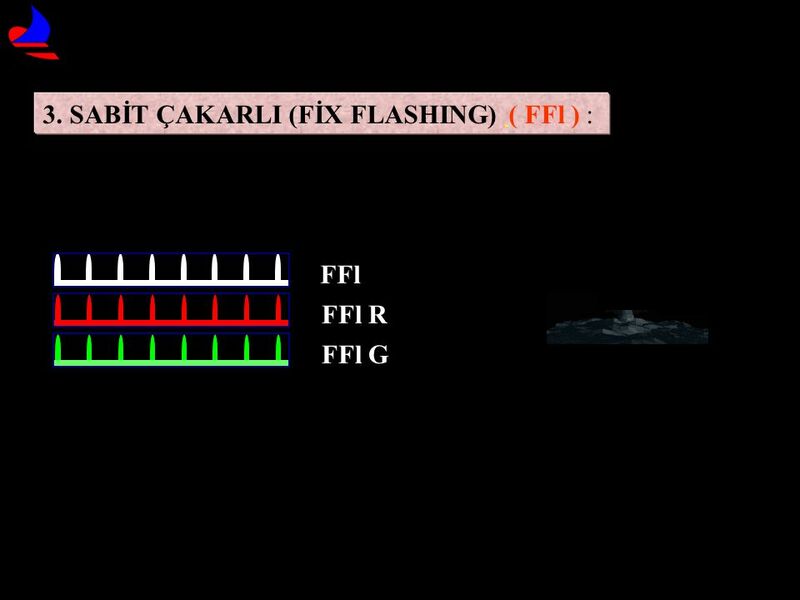 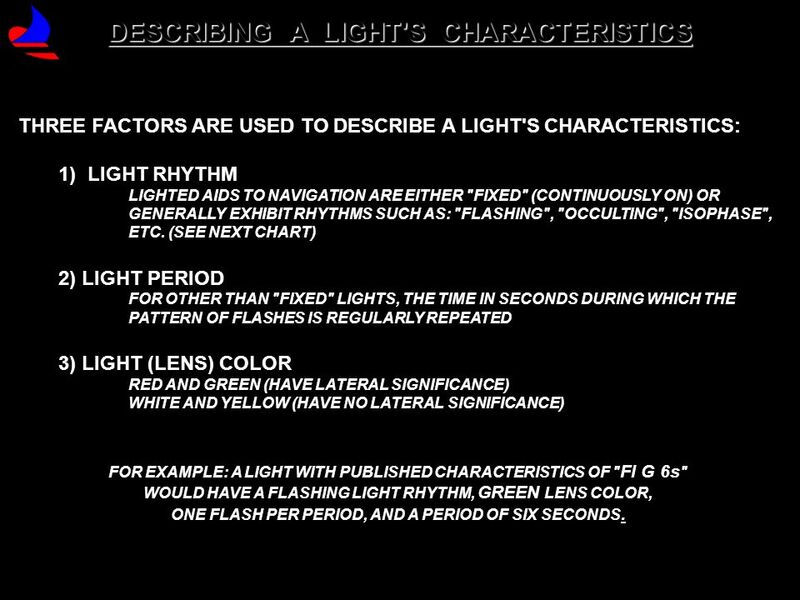 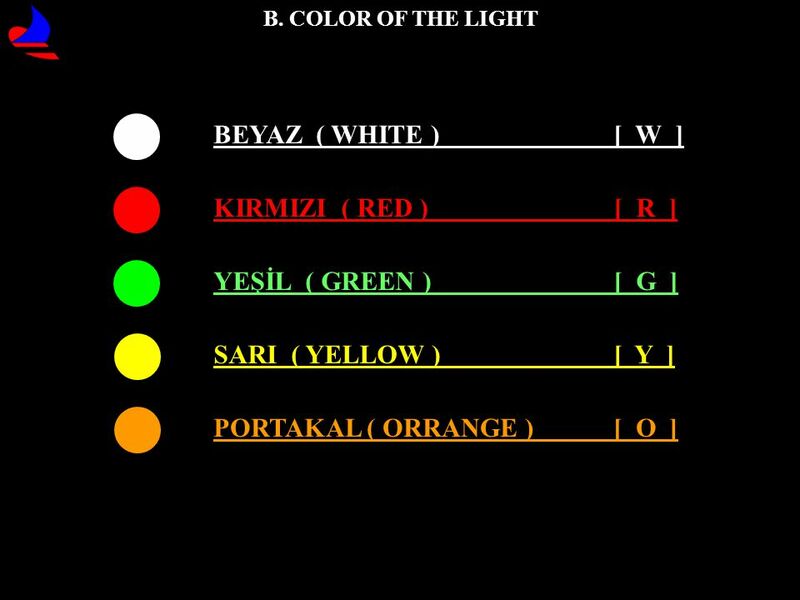 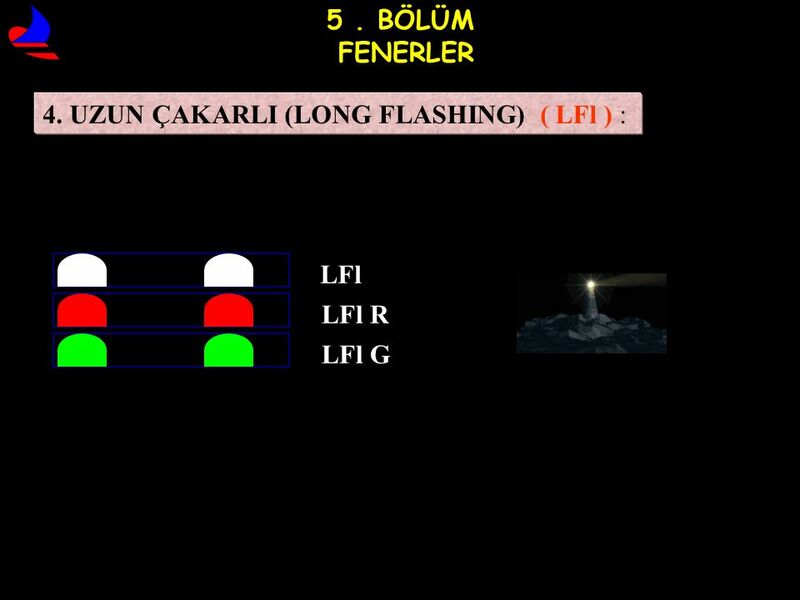 (SEE NEXT CHART) 2) LIGHT PERIOD FOR OTHER THAN "FIXED" LIGHTS, THE TIME IN SECONDS DURING WHICH THE PATTERN OF FLASHES IS REGULARLY REPEATED 3) LIGHT (LENS) COLOR RED AND GREEN (HAVE LATERAL SIGNIFICANCE) WHITE AND YELLOW (HAVE NO LATERAL SIGNIFICANCE) FOR EXAMPLE: A LIGHT WITH PUBLISHED CHARACTERISTICS OF "Fl G 6s" WOULD HAVE A FLASHING LIGHT RHYTHM, GREEN LENS COLOR, ONE FLASH PER PERIOD, AND A PERIOD OF SIX SECONDS. 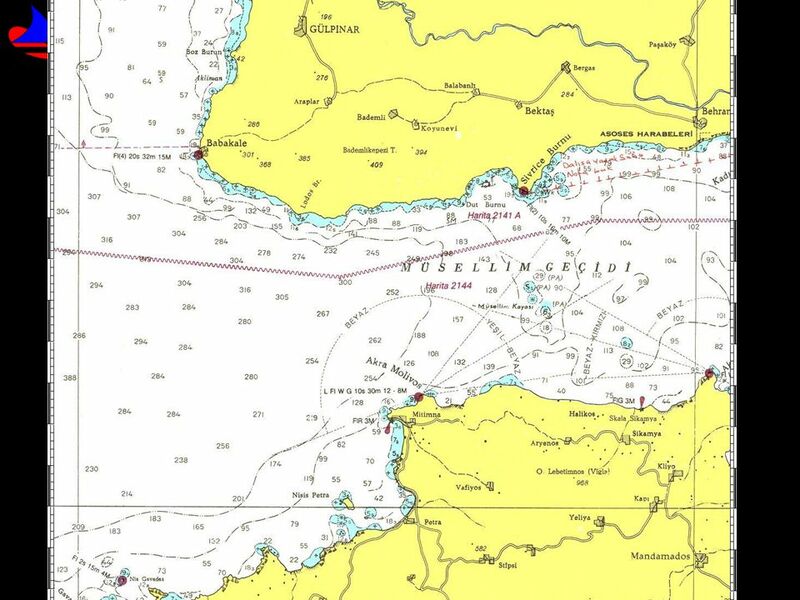 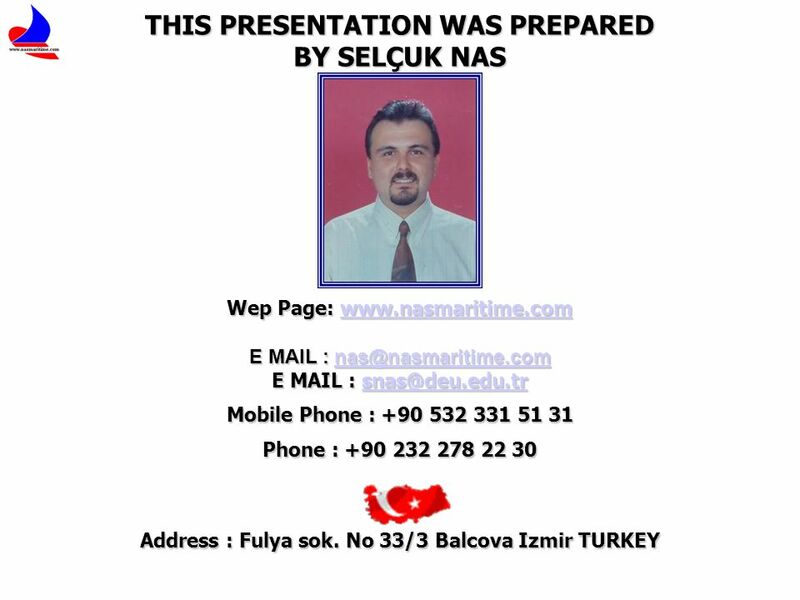 S elçuk N as SELÇUK NAS Pnβ β β β B A F C B A D E Pn E C F DDEPARTURE This presentation is required office XP Prepared by Selçuk NAS.